Sari Kingsley | Sari Kingsley Real Estate, LTD.
Sari Kingsley is a leading force in Residential Real Estate and Relocation on Staten Island as Broker/Owner of Sari Kingsley Real Estate, Ltd. (www.kingsleyre.com) since 1981. As a member of Leading Real Estate Companies of the World (since 1989), FIABCI and NAR, Team Kingsley provides an array of services throughout the U.S. and abroad. Sari is an active Director and is a Two-Term Past President of the Staten Island Board of Realtors. Sari founded the Global Council on Staten Island and created the Annual Global Real Estate Symposium in 2007 which has successfully transitioned into the Global Real Estate Summit. While serving as the NAR President’s Liaison to Israel (2014-2017), she was instrumental in bringing the NAR Ambassador Association (Israel) to the Staten Island Board of Realtors. 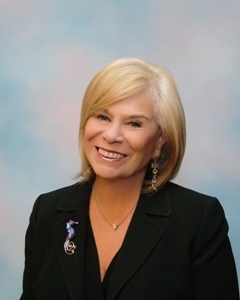 Sari continues to serve on NAR and NYSAR Committees and is a member of the New York Metro Group. She is a major contributor to RPAC and a member of the President’s Circle. She was inducted into the RPAC Hall Of Fame for her extraordinary commitment to RPAC and the Realtor Party in 2017. Sari has been honored with the prestigious SIBOR REALTOR® of the Year Award, SICC 25 Year Membership Recognition Award and the William “Bill” Coull Realtor Service Award. Sari is a published author, "Inside the Minds: NY Real Estate Client Strategies", Aspatore Books. Sari knows the real estate world is a complicated place in which we make our living. “We Specialize In You” is the motto which Sari imparts to her team as we live and work in our industry. Designations/Certifications: GRI (2000), CIPS (2005), SRES (2006), TRC (2006), GREEN (2008) and CRS in 2009.